Went to Montgomery, Ala., last week to tour some sustainable farms, as part of our NCAT Gulf States Office mission to promote sustainable agriculture in the 5-state region. It was a bringing together of some real heavyweights when it comes to local food, urban ag and community activism. 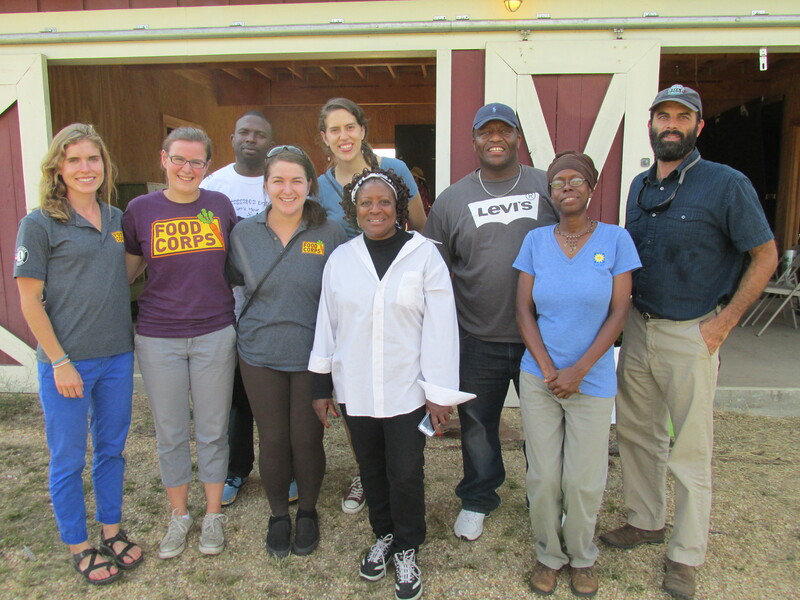 The FoodCorps service members who went on the trip seemed to have a good time and learned a lot. I can’t say enough good things about FoodCorps. Those who are based at Mississippi Roadmap for Health Equity next to our office at the old New Deal Grocery in Jackson are top notch! I see them every day going out to the local schools helping kids and moms appreciate fresh, local food that they grow right there at the inner city schools. I also can’t say enough good about Roadmap Executive Director Beneta Burt, who has created a food oasis in the inner city of Jackson. Roadmap is located in Ward 3, the poorest of the city’s wards. She started a farmers market, providing a place where people in the neighborhood can come buy fresh, healthy, nutritious food locally. She put in a fitness center so that neighborhood moms and elders can stay in shape. She started a summer school program that teaches kids good health habits and the importance of fitness and nutrition. She sponsors the FoodCorps volunteers for the local public schools. She muscled through a rule with the capital city’s school board that food service personnel in the public schools can actually get paid to take fitness classes (which, in turn, make them more fitness aware in creating the food in the public schools). She’s a pillar of the state food policy council. And more than I can ennummerate here. Suffice it to say, she’s a real powerhouse. Now, with this visit to Montgomery, Ala., she’s seen how E.A.T. South Executive Director Edwin Marty has created an urban ag program in the inner city there. E.A.T. stands for Education, Act, Transform! The organization encourages healthy lifestyles through education and sustainable food production in urban areas throughout the Southeast. Burt had already started such a program; she was able to see how an established program works. E.A.T. South ushers some 5,000 school kids through its site annually, offering a demonstration for local folks there on how to grow their own food. I can’t say enough good about Edwin, either. He literally wrote the book on urban agriculture, called Breaking Through Concrete, published by the University of California Press in 2012. See: www.breakingthroughconcrete.com. I’m honored to know and be friends with both people. They certainly are incredible role models. If every city had a Beneta Burt and an Edwin Marty this would be a much healthier, happier planet! 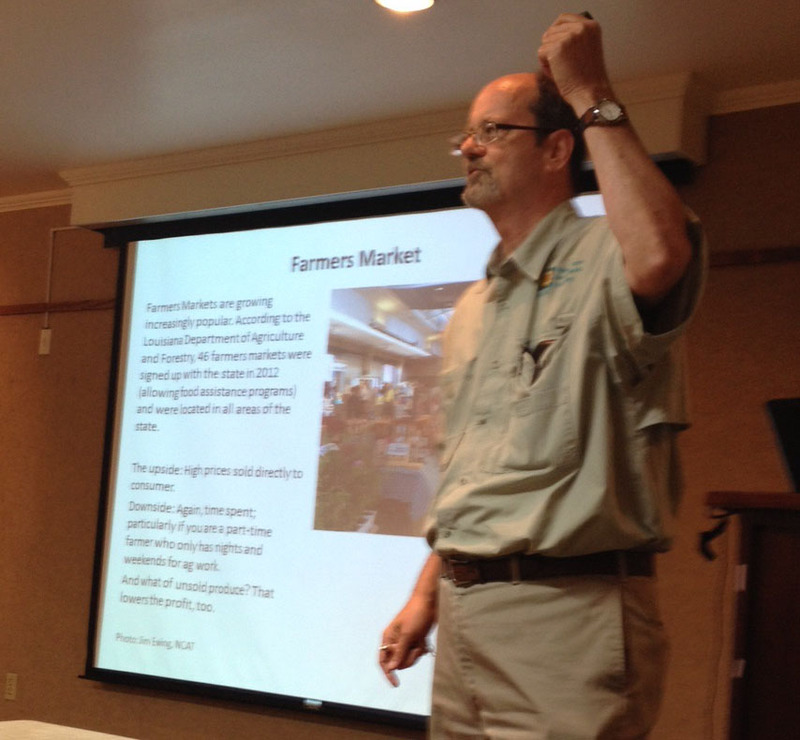 Got back late last night from Baton Rouge, La., where I gave a talk to beginning farmers on how to market your crops. Nationally, grim statistics are saying that farms and farmers are dwindling, spelling a dire future. I’m finding that it’s just the opposite: Average people, in rural and urban areas, are thronging to learn how to grow their own food, share it with others and even make a little profit at it. And I’ve been giving these talks all over the South, in urban and rural areas. Jim Ewing speaks at the Louisiana State University Agricultural Center in Baton Rouge, La., Oct. 23, 2013. The subject of his talk was “Beginning Farmers: Marketing Your Crop.” The one-day workshop was sponsored by the LSU AgCenter, the Southern University Agricultural Research and Extension Center, the Southern Sustainability Research and Education (SSARE) program, and the National Center for Appropriate Technology (NCAT). Most farms are “small farms,” too: Only 3.5 percent of the farms in Louisiana have 2,000 acres or more and only 6.3 percent make more than $500,000/year. The averages are about the same in Mississippi, give or take one or two percentage points either way, and nationally. They’re talking about and appealing to the big money farmers: those with big incomes and tight ties to corporations. They aren’t talking to the majority of average people who like to farm, or have a small stake (in either rural or urban areas), or want to expand to serve more people. They aren’t talking to or about people who grow local food for local people. Or people who prefer sustainable farming methods, or grow organic, or practice permaculture, or ecofarming. They are speaking to and about those who are into industrial agriculture and ship their food and fiber off to feed the big agribusiness multinational regime. There’s nothing wrong with that; it’s part of the dance politicians play between the interests they serve and those who serve them. And those who are growing for the major markets are doing just that; there’s nothing sinister about it. It’s just how our economy/business/government works. But average people — voters — should also see it for what it is. Those politicians aren’t speaking to, about or for the people who are putting food on your plate locally — who don’t use chemicals and who plant with the taste and nutrition foremost in mind, and not just profitability over size and shape and ability to withstand long shipping times without rotting. Those politicians aren’t speaking to, about or for the moms who want to buy chemically free, healthful and nutritious food for their children and be assured that it’s safe and take the time to know who is growing their food locally and how they are doing it. Those politicians aren’t speaking to, about or for the thousands of young people who are turning to small, local, urban and rural farming in order to ensure the people around them and those they love have healthful, safe food grown in a caring way as an act of passion and joy. Grown from the heart; for the community; as an act of compassion, giving and sacrifice. Nor are those politicians speaking to, for or about the average people who have no clue about what chemicals are being sprayed on what they eat, or how the seeds are concocted from GMO genetic cocktails that ensure they actually grow in a soup of poison but who knows what it’s doing to humans. No, the people who are now clamoring to grow their own food and for others — who are definitely new and beginning farmers, just not big, industrial, chemical farmers — have to speak for themselves, and to and for each other. The politicians apparently don’t care much about them. They don’t “count,” with money, clout or influence regionally, nationally or globally. Statistically, they’re as invisible as their influence in Washington and state capitols across the U.S. But I suspect, as the food movement continues to grow, and more and more true farmers — the majority of farmers as the Census of Agriculture attests — begin to see that what they believe, think, say and do actually matters, and that in aggregate they have the numbers and “clout” behind them, that politicians will begin to take an interest. And I think that as more and more consumers reach for the non-GMO label on their food, and as more voters get savvy about the dangers of GMO, its attendant flood of poisonous chemicals to keep it afloat, and its downward spiral of sustainability depleting both farmland fertility and fossil fuels, that even more small, local ecofarmers will appear. That wasn’t the subject of my talk at LSU. Just some musings the next day. There’s a new “dance” between local individual consumers and farmers nationally that soon could reconfigure the whole dance floor. The politicians just haven’t picked up the beat yet, still lost in another era doing the funky chicken! OK, let’s get this out front and center: I had a blast at the Florida Small Farms and Alternative Enterprises Conference this past week. Here’s a photo essay of the conference, which ran Aug. 2-4 in Kissimmee, Fla.
Then, there were awards given…. 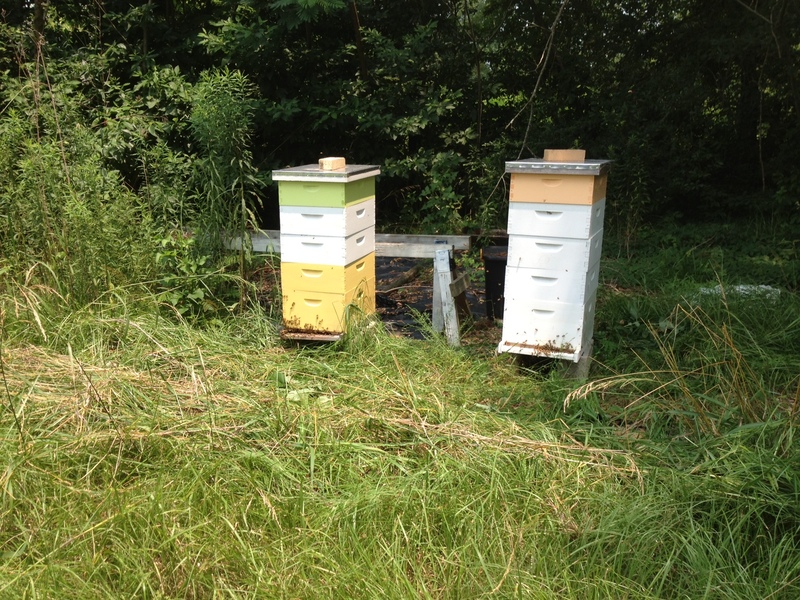 Bee Heaven Farm, in my opinion, should be a national model for organic growing. The soil conditions there are only about 8 inches of “topsoil” consisting of sand, some vegetative matter, and porous limestone rock is a challenge for consistent growing. Conventional growers essentially are depleting the few nutrients in the soil and collapsing the structure so that it only hold what’s put into it. Organic growers, like Margie, however, are building up the soil structure, building soil nutrients in the soil, encouraging microbial life and thereby actually adding to the soil medium as they grow, rather than depleting it. The result is that organic growers like Margie and Nick are seeing positive yields and tasty crops while conventional growers are seeing ever worsening and more expensive growing conditions. Farmers who are not taking the extra effort to rotate crops, build structure that helps hold moisture that otherwise would pass through the porous sand and limestone are seeing more expensive inputs and having to add biological agents and fight desertification (salt build up and nutrient loss through over use of irrigation). The Bee Heaven model is one that should be seen as meaningful for sustainable farming as climate change intensifies, in my opinion. 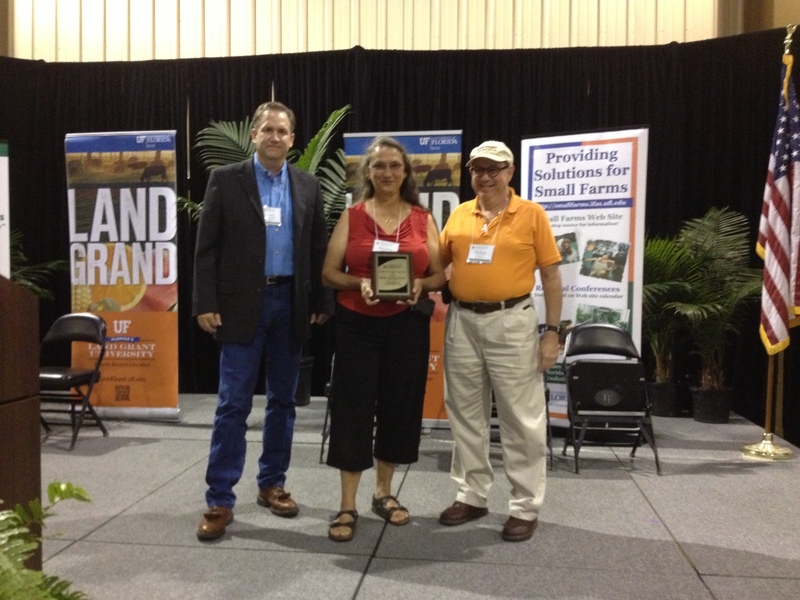 Since I’m a former board member of Certified Naturally Grown (and still an advisor on fruit and vegetable growing using organic methods), I was delighted to see CNG member SB Farms of Malone, Fla., also win the Innovative Farmers Award (second place). Joseph Ballard and Paul Speros offered good advice, as well, for beginning farmers. Congratulations! Natalie Parkell and Kevin Osburn of Vertical Horizon Farm won the award (first place), also. Parkell gave an excellent talk on hyroponics for backyard or small or beginning farmers. They started out growing in their parents’ backyard, since they lived in a condo with no ground for growing — that is, until their parents told them to move, since they had dug up all the grass! So, they found a local business that would let them operate on a corner of their property. It became a big hit, especially marketing to the neighborhood. A small scale truly local success story! 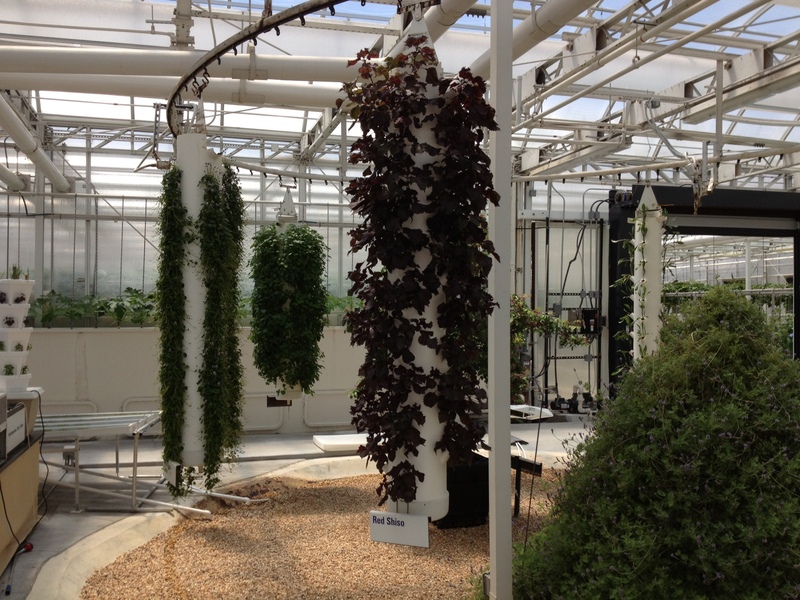 I was intrigued by the prospects of hydroponics and aquaponics as potential sustainable growing methods (especially since both are considered “iffy” when it comes to being certified organic – see earlier blog: “Organic Hydroponics: The Future of Farming?”). So, the bulk of my time when not manning the NCAT booth was attending seminars on these topics. The Epcot demonstration is fascinating, but I’m not sure it’s very “sustainable,” at least not commercially as a farming method. 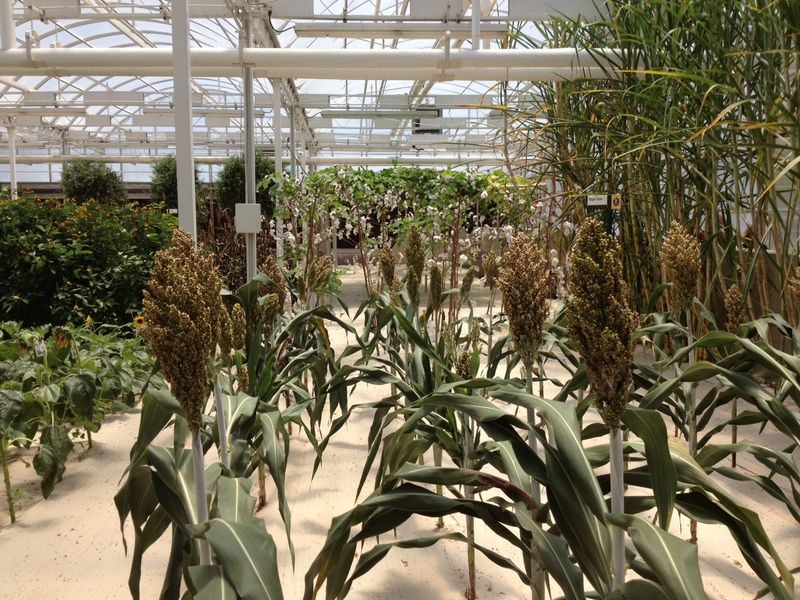 The cost of the facilities and mechanical devices seems out of kilter with the potential sales of crops. But that may not be the point of the exhibit. Rather, the center shows how it can be done, and that it can be done. I’m going to have to think more about it before I’m convinced it’s a sustainable growing method. It certainly offers possibilities. One of the concerns I have with hydroponics is that what you get from the produce is limited to what you give. By that, it’s like so-called “conventional” agriculture, in that the major nutrients are supplied. In such industrial agriculture models, NPK or the ingredients for synthetic fertilizer are present; but missing are the trace elements that a healthy organic soil provides. Better fertilizers would remedy that; ensuring it, of course, is the goal of organic certification. It’s an issue consumers should be aware of in making hydroponic purchases. Regarding aquaponics, a key issue preventing organic certification, according to the farmers I talked to in Florida who practice it, is that the effluent from the fish is considered a “manure” by the National Organic Program. But, as Orange County Extension Director Richard Tyson explained, that is an inappropriate designation. First, regarding health concerns, neither E coli nor salmonella are — or even can be — present in such effluent because those only occur in warm-blooded animals; secondly, beneficial bacteria convert the ammonia waste into nitrates which are only then absorbed by the plants; so, a more appropriate designation would be classifying the effluent as nutrients, rather than manure. 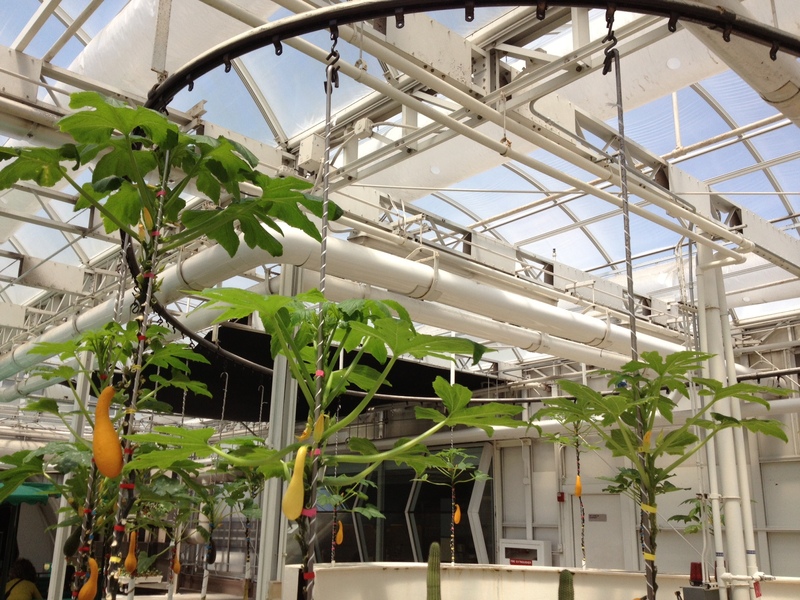 In my opinion, especially when coupled with other energy saving methods such as using solar and wind for electrical needs, raising fish for animal protein and using the byproduct of that for fruit and vegetable food production in hydroponic vats is the type of sustainable methods that organic supporters should embrace. We’ll consider more of this later. 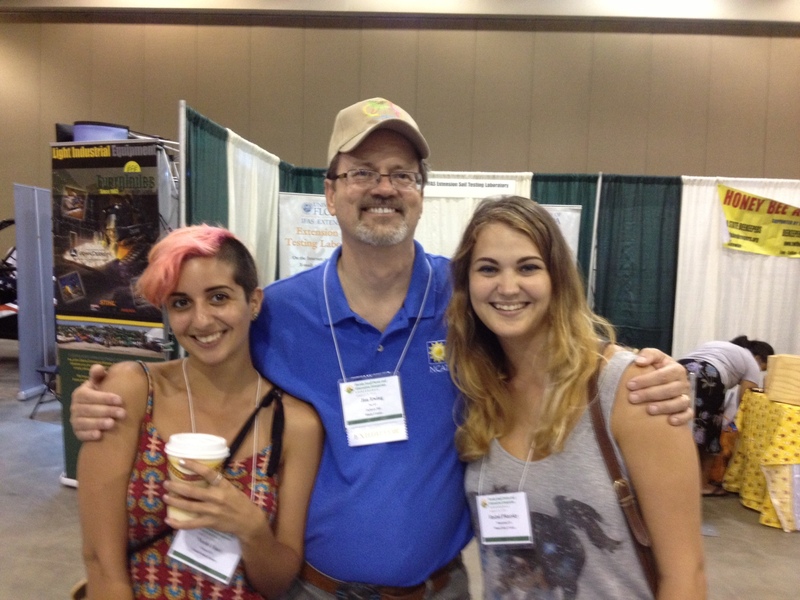 Rachel (right), daughter of longtime friends Nick and Margie Pikarsky, and her friend (and now my friend) Nicole Fiori, were great to be around at the Florida Small Farms and Alternative Enterprises Conference in Kissimmee, Fla, Aug. 2-4. No, I wasn’t looking for beautiful young women to hang out with while in Florida, but I found them! It was most enjoyable visiting with Nick and Margie’s daughter Rachel Pikarsky (right) and her friend (and now my friend) Nicole Fiori. They were a total delight! The fifth annual event was hosted by the University of Florida and Florida A&M. The National Organic Program (NOP) must be sensing increasing numbers of small farmers turning away from the USDA’s certified organic program. Many are instead choosing other varies of “agroecology” (as the United Nations terms it), such as biodynamic farming, permaculture, ecofarming and the like — methods that employ organic practices without using the term “organic,” which requires USDA approval. It’s not that organic is bad; far from it, the nation needs more organic farmers and more organic food, especially grown and sold locally which benefits local economies. The problem is that NOP has become expensive and the paperwork enormous, pushing small farmers out of the program. In Mississippi, for example, the state agriculture department stopped offering certification in December due to budget cuts, and the national Farm Bill reimbursement program has been halted. It has meant farmers having to pay up to $1,000 or more out of pocket to fly in an inspector from another state to certify their crops. That’s a big financial hit for all but the big operators. Moreover, the NOP trend has been to coddle big farmers and ignore the rest. Certified organic operations are increasingly just huge, often transnational, industrial agriculture outfits that comply with the minimal standards to keep their certification. Doubt it? Just look at the who’s who of certified organic brands that opposed labeling genetically modified ingredients (GMOs) in food in California. (See my JFP column, Jan. 16) Think their hearts are in organic? By definition, “organic” prohibits GMO! How can one be against labeling and for organic? It says it wants the organics program to be “accessible, attainable and affordable.” But, mostly, the changes seemed aimed at current operators, not new ones, focusing on relaxing paperwork requirements, reducing penalties and offering more training for certifiers. That’s great for a big industrial farmer who can afford it (and may actually just have the effect of watering down organic requirements even more), but what about the legions of new small farmers? It doesn’t matter how lax NOP regulations or enforcement may be (and who wants that anyway?) if it costs $1,000 to certify your crop — or, equally important, if there is no local state, extension or federal support for growing organic. 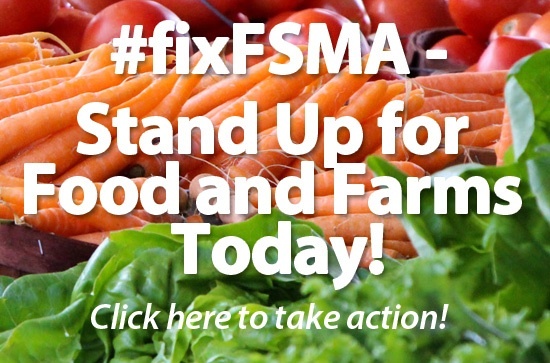 More organic farmers and food would be great, but it will take more than paperwork changes to turn the tide to more grassroots support for certified organic among small, local and beginning farmers. Now, that would be sound and sensible! Just about every day, I hear of someone who just couldn’t wait until planting time to start digging in the ground and planting a crop for summer. Let me reiterate: We may be in the South, but it’s still too early to plant! If the soil is too cold, seeds won’t germinate properly resulting in sickly plants, disease and insect damage. It’s not enough to simply plant past last frost; plants need a good start. That’s why even if the temperature turns prematurely warm, as happened last winter, planting now is so risky. Even with such “tricks” as using frost cover (sheets of Agribon or old blankets over seedbeds or early seedlings when its frosty) and passive solar heating (plastic jugs painted black and containing water to heat up in the day and retain it during the cold nights), a sharp cold snap can knock back and mortally wound your crop. That’s why you want to be careful in playing the odds of “last frost,” to minimize potential damage. For a lot of gardeners in Mississippi, planting time is around the first week in May. But there’s a caveat to this, too. 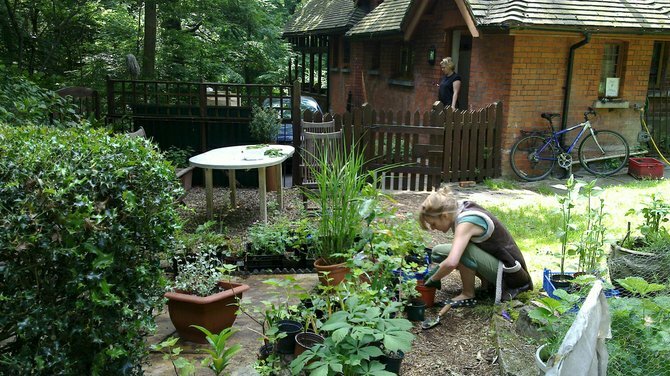 For organic gardeners, it pays to plant as early as possible, to get a jump on the insects. Waiting until May could be inviting insect damage. So, the best time to plant for organic growers (who don’t use insecticides) is sometime between last frost and before the insects go full bore. Traditionally, here in central Mississippi, folks used to plant seeds on Good Friday, which this year is March 29. To be cautious, I’ve always planted a week after Easter, as we sometimes have a frost the week after Easter, this year observed March 31. That’s kind of late. April 8 — 10 percent. For today, there’s a 50 percent change of a temperature of 28 degrees, according to the chart. Naturally, those numbers change the further north or south from Jackson in the central part of the state, as shown by the chart. For all states, see: http://bit.ly/i5SmsT. In the old days, gardeners would plant by “the signs” — the moon and stars. The best guide is by the late Maria Thun, who died last year. Her work is being carried on and, now in its 51st year, her North American Biodynamic Sowing and Planting Calendar 2012 (Floris Books, $13.95) is available from Steiner Books: P.O. Box 960; Herndon VA 20172-0960; (703) 661-1594; or http://www.steinerbooks.org. Thun’s guide is detailed and considered something of a bible for natural growing by biodynamic farmers (those who follow the natural rhythms and Earth-based soil amendment methods of founder Rudolf Steiner). 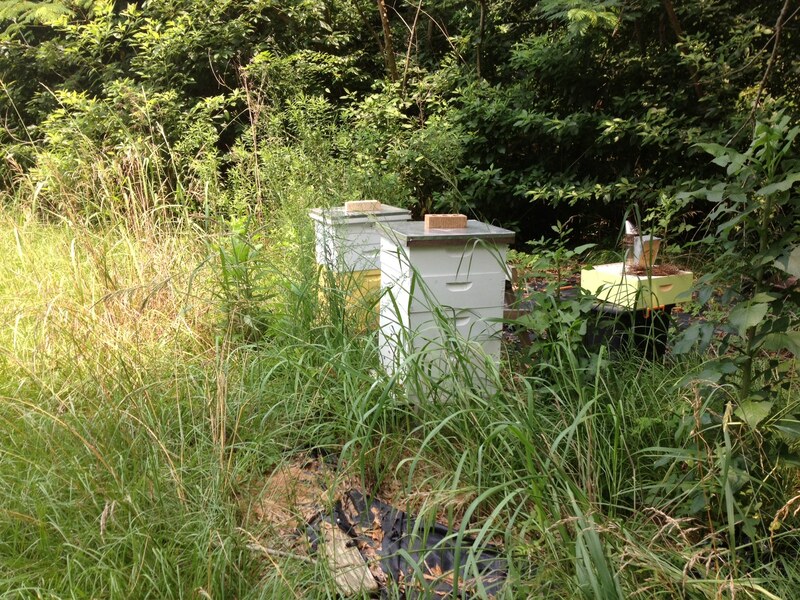 It shows the optimum days for sowing, pruning, and harvesting various crops, as well as working with bees. Wondering Why Your Seeds Won’t Germinate? Whatever you do, don’t use heating pads or electric blankets, as you will be watering your seeds and can cause a potentially hazardous electric shock. Simply stated, a cold frame is a box similar to a 4-foot by 8-foot “Jim’s plot” but has a removable, clear glass or plastic top. Consider it a mini-greenhouse. Cold frames can be simple DIY projects, such as planting between a few square bales of hay and recycling old windows or shower doors as the removable tops. You can also purchase pre-made kits from local garden stores or online. You can build a cold frame anywhere; make sure it has southern sun exposure, and vent the top during the day. At night, keep the cold frames closed, and they’ll retain heat. Sustainable Agriculture: What Is It? And Why? 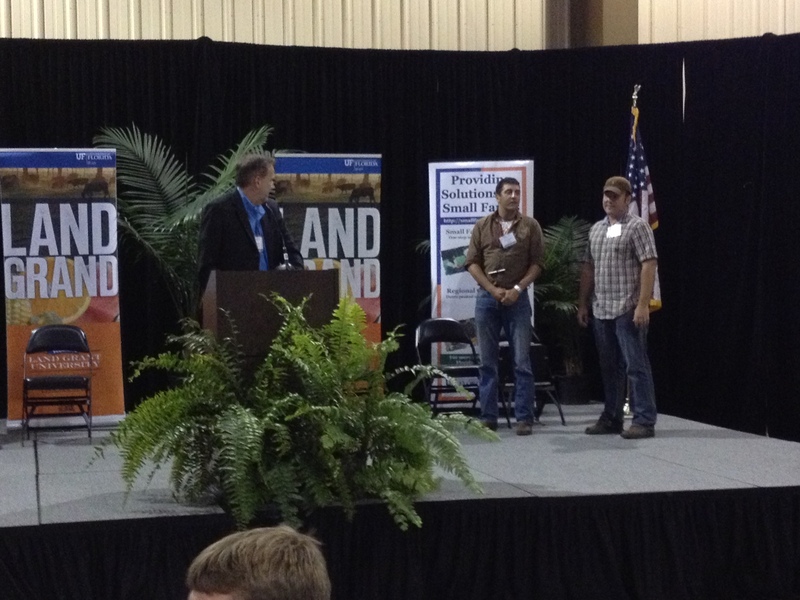 This is a talk I gave to a group of farmers and agriculture policy makers Friday, Dec. 7, 2012, in Enid, Miss. Two years ago, Gaining Ground – Sustainability Institute of Mississippi embarked upon an ambitious project: to build a Mississippi Sustainable Agriculture Network. It had not been done before in Mississippi and so, it’s a signal achievement that now, with the help of grants from the Appalachian Regional Commission and Winrock Foundation, that GGSIM’s dream of a network of sustainable farmers in the state is finally taking off. 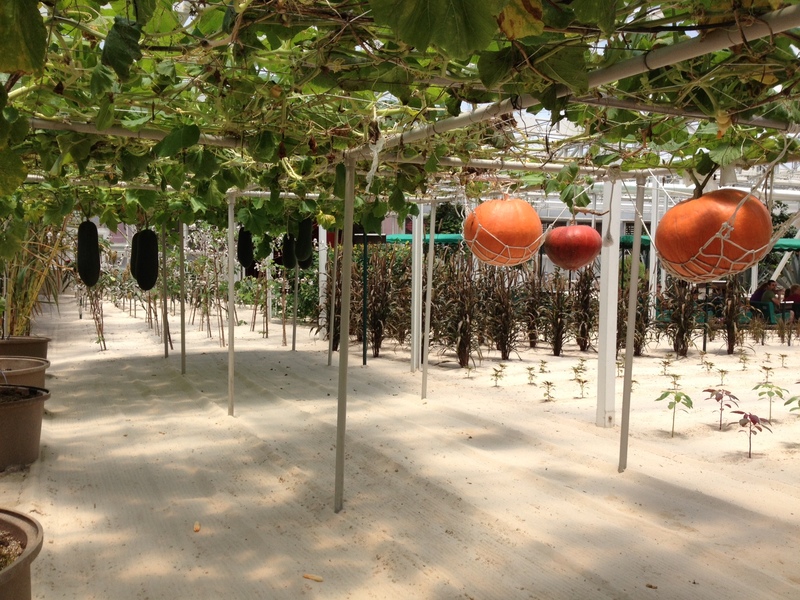 While GGSIM could easily see that there was a need for a network of farmers to help each other help themselves toward sustainable farming and help consumers find those farmers, actually providing a definition for “sustainable agriculture” proved a thornier problem. As the eclectic board of GGSIM — composed of academics, food, farming and health enthusiasts and farmers themselves — discovered: each constituency seems to have its own definition of “sustainable” when it comes to food and farming. The board was confronted with a suddenly problematic issue: Just What is Sustainable Agriculture? Being an organic farmer, my first thought was — of course! — sustainable farming is farming that follows the sustainable practice of organic farming. But, as others on the board pointed out, there are many different flavors of “natural” or eco-sensitive farming: ecofarming, ecological farming, agroecology, permaculture, biodynamic, the list goes on. The words “where appropriate” has been used as a modifier to allow the use of materials and practices that would seem to be at odds with sustainability, while the “site specific” limitation has all but negated its widespread use or effectiveness as a program goal. But that also must be understood from where USDA stands regarding the bulk of its programs. Using artificial, chemical, manufactured and synthetic inputs is called “conventional” agriculture, or “industrial farming.” It is by any normal definition “unsustainable” because it relies exclusively on artificial, chemical, manufactured and synthetic inputs. Yet, USDA is attempting to incorporate “sustainability” into this model. So, the USDA definition wasn’t — and isn’t — much help to us in defining Sustainable Agriculture. As the GGSIM board found, there also wasn’t a great deal of consensus among farmers themselves who believe they are practicing sustainable agriculture. For example, farmers surveyed by GGSIM who defined themselves as sustainable ranged from those who followed organic, natural, permaculture or biodynamic processes and no synthetic inputs; to those who used spot synthetic inputs (such as RoundUp herbicide) but otherwise did not use synthetic inputs; to one farmer who used horses for tilling fields and horse manure for fertilizer and believed using gasoline or diesel engines for tractors or tiller was unsustainable, but also used synthetic materials when needed. As one farmer pointed out, you can’t be sustainable as a business if you can’t sell your crop; if spot treatment is what’s required to stay in business, so be it. This engendered a whole new conversation among the GGSIM board: farmers’ economic sustainability. In fact, one of GGSIM’s board members, Preston Sullivan, had written an article about it, titled Applying the Principles of Sustainable Farming, published on the National Center for Appropriate Technology website. Preston’s piece, https://attra.ncat.org/attra-pub/viewhtml.php?id=295, is an excellent primer on sustainable farming. It perfectly lays out goals of sustainability. Sustainable farming meets environmental, economic, and social objectives simultaneously. Environmentally sound agriculture is nature-based rather than factory-based. Economic sustainability depends on profitable enterprises, sound financial planning, proactive marketing, and risk management. Social sustainability results from making decisions with the farm family’s and the larger community’s quality of life as a value and a goal. The “Why” closely follows the “How” of sustainability when it comes to sustainable agriculture. Globally, we are witnessing incredible changes in our planet that cannot be overlooked, from climate change to destruction of critical ecosystems such as the tropical rain forests, to depletion of fish stocks to degradation of air, water and land. The burning and depletion of fossil fuels is a major element in this environmental change, and agriculture is a major part of global environmental distress. In fact, there is a growing movement to name a new geologic era, the Anthropocene, to reflect the cumulative ill effects of human impacts upon Earth starting with the beginning of agriculture some 10,000 years ago. While these larger issues are of concern, and require action — from curbing greenhouse gas emissions, promoting recycling, approving international agreements to protect our soil, water and air — our focus is on what we as farmers can do to minimize impacts upon the areas where we live, work, eat and breathe. Certifying agencies — USDA certified organic, Certified Naturally Grown, etc. — can define farm practices they will or won’t allow. It is not GGSIM’s aim to tell people what they can and cannot do. We can support sustainable practices that do not result in negative outcomes or ecological unsustainability. Some of those would include: Decline in soil productivity; wind and water erosion of exposed topsoil; soil compaction; loss of soil organic matter, water holding capacity, and biological activity; salinization and/or desertification. These topics go hand in hand with biodiversity vs monocultures; use of natural vs synthetic inputs; crop rotation and cover crops; composting; soil and water contamination/pollution/treatment. The more toward ecological in the farming practices, the more resilient and sustainable the system; the more artificial, chemical, manufactured and synthetic the practices, the less sustainable the system. For these reasons, I would suggest that as a practical model, sustainable farmers use the evaluation forms provided by Certified Naturally Grown. 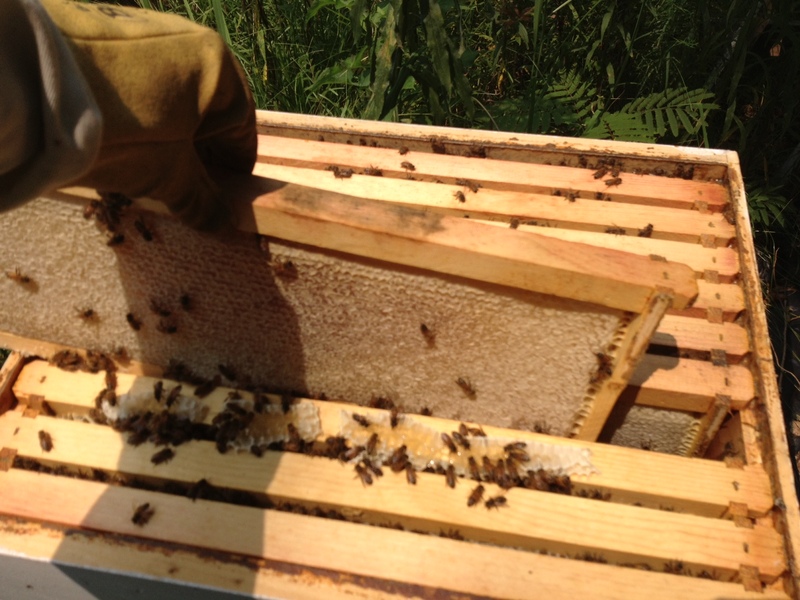 CNG is a private, nongovernment, nonprofit certifying agency for small direct market farmers and beekeepers. (I am on the national CNG board of directors and helped craft the guidelines.) While it’s up to farmers themselves whether to be certified by CNG, USDA or any other group, or not, the reason I suggest using the form is that it generally follows the National Organic Program guidelines, but it is also crafted as a worksheet for farmers to determine their own goals — where they are and how they want to get to a more sustainable, natural growing system. 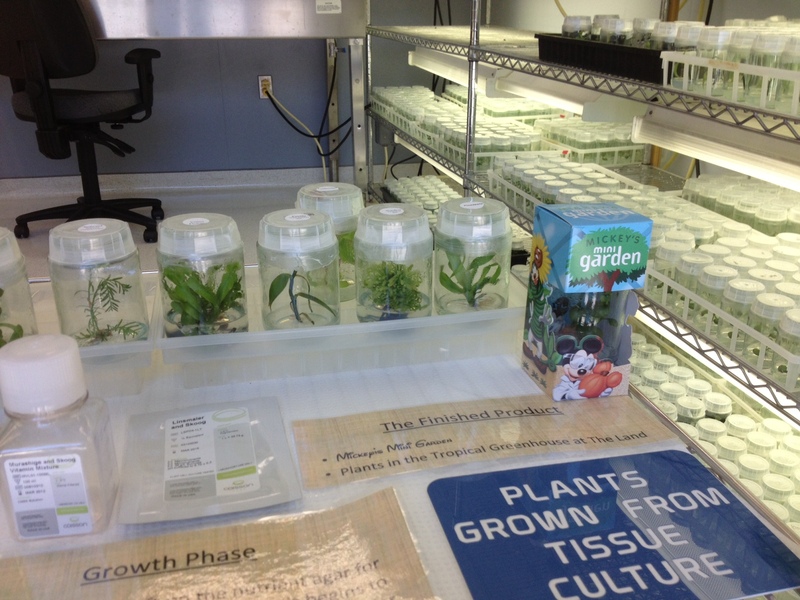 In coming months, MSAN will be working with farmers to develop model farms. Sustainable farmers will benefit not only from input and expertise from outside groups but from among themselves. 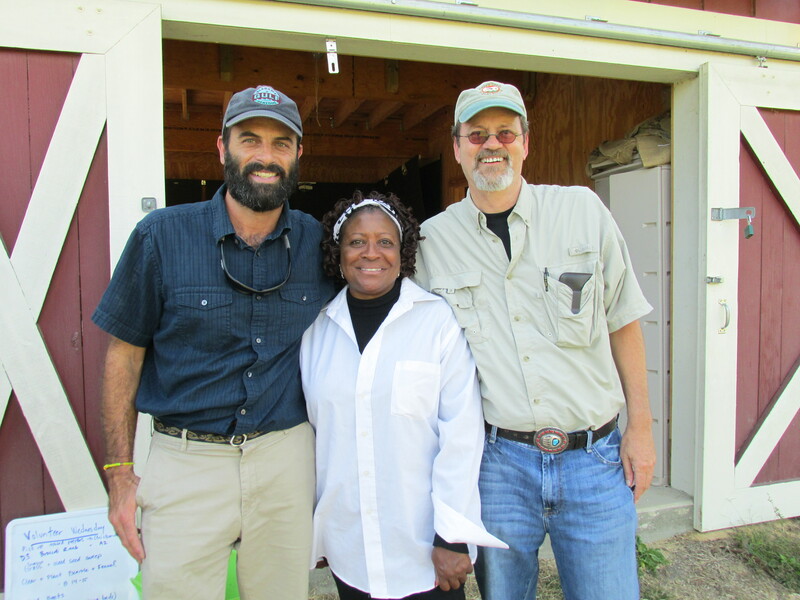 Afterall, that’s central to MSAN: Encouraging Growth of the Sustainable Farming Community in Mississippi through workshops and conferences, farm tours and mentorship programs. Now that we have a definition of sustainable agriculture that we can live with, and know why we have to have it, let’s apply it, shall we? Jim PathFinder Ewing is an organic farmer and author, a GGSIM board member and chairman of the GGSIM Food & Farming Committee. His most recent book is “Conscious Food: Sustainable Growing, Spiritual Eating” (Findhorn Press).